The console game industry is a slow, predictible one. You release a console, support it with everything you got, and if its successful you start engineering new "slim" models to help keep costs down while adding some minor new revisions. Then, in maybe 5-7 years time, you release the big new kahuna, and start again. There have been some exceptions for sure. The PS3 actually saw its feature list cut as backward compatibility was removed in chunks in future hardware revisions. Nintendo opted for different upgrade paths, such as the Expansion Pak for the N64, or went a whole new hardware route like the DSi and New 3DS. Microsoft, despite rumors every year of a new optical drive-less system, keeps it relatively tame with a new "slim" 360 model, as the original Xbox did not have a long enough lifespan to merit a system revision, joining the likes of the GameCube, Dreamcast, and so many other consoles who didn't live to see a slimmer, smaller future. This is, in fact, completely antithetical to the industry at large. Everything is improving yearly. New computers, new Blu-Ray players, new cars, new TVs, new blenders, and yes, new smartphones and tablets. But not game consoles. And so a predictable trend can occur: we see the rise in sales, followed by the plateau, and then the dip. By the time the dip happens, prices are slashed and rumors of the all new system are already happening. You can practically set your watch to it. And then we have this...the PS4K. Assuming the leaks are true, it disrupts everything we know about the console market. Veteran game journalists, even those we can point to for a clear, precise measure on the news, are left saying, "what?" No one really seems to know what to make of this. And without Sony expanding on the news until a later event or even E3, there's not much to do other than speculate on the biggest question of all: why? I'm all over the place when it comes to game consoles. I stayed with Nintendo from the NES years to Gamecube, then won an Xbox at a graduation raffle and stuck with Microsoft to the 360 era, where I traded that in for a PS3 and ultimately stuck with the PS4. Broken chains in backward compatibility made it easy to jump around like that, whether it was hardware specific (N64 to GameCube) or a mix of software and hardware (Xbox to Xbox 360). Certainly there have been others who have stayed with one company forever. Still, it was easy to see, at least in North America, the switch in momentum. The success of the PS2 followed with the success of the 360, and now we're back with the PS4 leading the sales charge (the Wii, of course, was a massive thing of its own, but ultimately lead with a lot of one-time buyers that didn't come back for the Wii U). There's no reason to stay loyal to any one company, in that there was never a guarantee that your purchases would be valid on the new consoles. Both the PS4 and XB1 opted to sever all ties with their respective predecessors, though like so many other things MS would try and reverse years down the line with a BC program. The point is that generational loyalty up until now is fruitless unless you're specifically doing it for first party franchises, something that has become increasingly irrelevant (poor reception to a majority of new IPs both Sony and MS have tried to wheel out this gen) or getting a bit long in the tooth (can MS really launch Xbox 2 with Halo 7 and command the type of brand power that the franchise used to have?). Ultimately you go where your friends are, or where the games interest you the most. In a cycle that encourages players to slash ties with where they were coming from to a new platform that has everything they're looking for, how do you make sure that customers are tied down to a brand, or at least, have less of a reason to abandon it in favor of the other guys? The way to do that is to blur the line of product cycles. Perhaps even erase it completely. It is a completely different shift to what we're used to. No longer will we be filing into the theater in a secret event broadcast streamed to the world, waiting to see what's underneath the curtain. The glamor and hype of a new console can now be broken down to what essentially are patch notes. Here's what's new in New Console 2017: a new GPU here, some CPU improvements here, runs all the same games, cya in 2020 for the next system. It is certainly the biggest disappointment in this, if only because the spectacle of a new console launch is so much fun. But it is probably gone forever. So what does that leave us with? A brand new console, coming way sooner than anyone has expected, that changes a generational cycle into a constantly refreshed cycle. No longer are there gaps in these product generations that allow for consumers to jump to other platforms, at least not one that's easily discernible. You probably didn't know it at the time, but that copy of Knack you bought in 2013 will be playable in 2023, on new hardware. That's the benefit of the x86 architecture that Sony, MS and (its heavily rumored) Nintendo has chosen to use for their consoles. It prevents hard cuts to product life. The PS4 won't have an end-of-life cycle. It will continue to be produced, at a cost that benefits Sony, until it is phased out in favor of a new hardware revision. And that's the whole point of the PS4K: in an age where tech advances are slowing to a point where a technological leap is impossible without a high cost or a long wait, companies have to change up this cycle. Digital Foundry pointed out that tech improvements are slowing to a crawl. Will consumers actually wait until 2022 to get a generational leap in graphics at a consumer friendly price? What if they didn't have to wait? Think about how unfriendly the current generational lifecycle is for the average consumer. They can either come in too early at high adopter prices and a slow start of game releases, or right in the middle where sales peak and deals are good, or come it at the end, where support will soon be ending for the system and mere years or even months are left for game releases. If they don't hit that sweet spot, they can be left holding the bag on a system that has been essentially abandoned in favor of the all new console. The worst thing about generational leaps is that it simply doesn't work in today's game industry. We're starting to pivot into the idea of games as a service. This was teased towards the end of the PS3/360 lifecycle, but its really coming into its own with games like The Division and Destiny having a strong online base with roadmaps for the future. It is dependant on one thing, really: a healthy userbase to get users from, which is easily disrupted by a generational gap. Imagine for a second that you're running a major studio, and you want to create the next big online game. 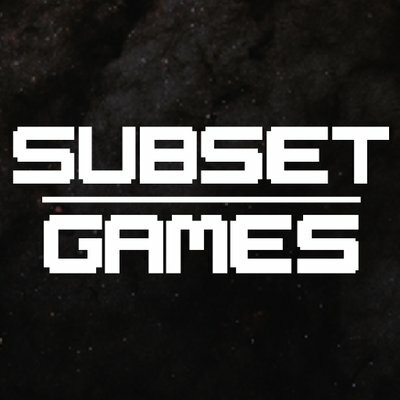 Development starts tomorrow, with the game releasing late 2018. If the PS4K does not exist, and the PS5 creates this chasm as all generation leaps do, then what can you do? Develop for the PS4, and have tools in place to bridge the gap to the PS5 when it comes out? This is essentially what Destiny is doing, but it comes at a major cost, something that Activision and probably other major publishers like EA and Ubisoft can support, but few others can. See, not only are consumers used to this cycle of set lifetimes for consoles, but game development also has to plan around it. Do you release a new IP late in the cycle of a console, or hold it back for the new system, which will have added costs and a new set of developmental issues with a much smaller userbase, but the potential for expansion in the future? With this new cycle, you don't have to worry about that anymore. The PS4 is also the PS4K, and is probably the PS5 too. When the PS4K launches, it will already have a userbase of over 40 million players. It already has all of the developmental tools that have matured and strengthened over the last few years. There's no risk to building the next big online game late in the PS4 future, because the transition over to the new system is built into the ecosystem. This is a huge, huge benefit to game development. There are some who feel like a revision in the middle of a console's lifespan is pointless, and that Sony should have waited for the PS5. I have news for you: this is not the middle of the PS4's lifespan, and there is no PS5. There will be a new console after the PS4K, and that will be an upgraded version of the PS4K. This is the new life cycle, of which there is no beginning, middle, or (hopefully) end. Certainly there will be anger to come with this news; it's already happening, but then again, it always happens with everything. The internet amplifies everything to a degree that it becomes somewhat impossible to measure the actual consumer response to things until they're released. What it comes down to is, how will this translate in the marketplace? Quite easily, actually: here's the PS4, at a new lower price, and here's the new PS4K, which is more powerful and a little more expensive too. Which one do you want? And that's the new future of game consoles: a life cycle that never ends, that is constantly updated, that largely benefits game development and also benefits new consumers ready to jump into games whenever they'd like. This is a major, positive change for the industry. I will miss the idea of a new console that completely disrupts the industry with new exotic hardware and a whole new way to play a game. In fact, that era might end with Nintendo, who prepares to put the Wii U behind them with an all new game console that could be radically different than anything they've done before. But the time for disruptive product cycles is over. There's too much risk involved, with game budgets more expensive than ever, and other markets increasingly eating away at each other. There was a lot of debate before this generation launched on whether or not there was even a market for game consoles anymore as the PS3 and 360 quickly plummeted in sales. The PS4 answered that question with a resounding yes. I wonder what answers the PS4K will bring.